Automotive and motorcycle low-pressure circuit wiring., Automotive and motorcycle low-pressure circuit wiring. We purchase for electric wiring of motorcycle. Since it is not a place to flow a large current, 0.3 SQ is enough, Because it was not well balanced with other wiring, I made it to 0.75 SQ. There is no problem with the quality. This review is about item#5045057. Used for additional wiring of automotive accessory circuits. 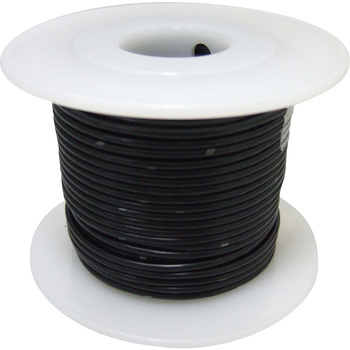 The core wire thickness of the wire is 0.75 or 1.25, but the thicker one with ample current is used. I think it can be used with confidence if there is room for voltage drop and heat generation when wiring becomes long. This review is about item#32606427. I use it when I drive the bike's electrical components. Because it is cheap, it can be used without concern even if it fails. It is useful. This review is about item#32606375. As it is cheap, it can be used for a long time, so it is easy to work with ease. This review is about item#32606393. no problem. Easy to use around 30m. Also, I am thinking about different colors. This review is about item#32606402. Affordable and easy to use. I want to buy it again next time. As it is approximately 1/3 of mass retailer price, it is saved. I'm somewhat concerned about "winding gusset", but it is inevitable that this kind of product is common. There was no inferiority with the electric wire of the maker product. The length is enough. Because there are few variations, I hope that the code of the same color and color scheme as the original electric wire of Honda bike is provided. It is useful to use at an amateur radio station because the price is low.